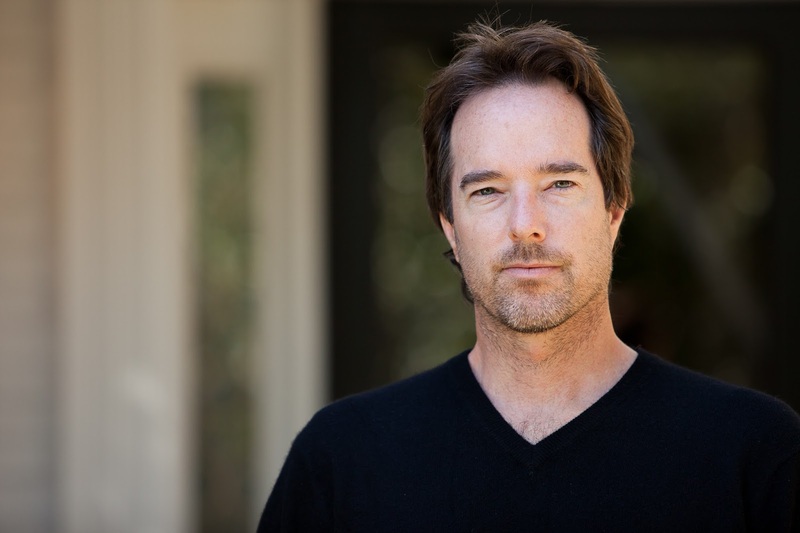 I'm sure you will all be happy to join me in welcoming author Layton Green to the blog today for a chat about his life, his writing and his recently released novel The Spirit Mage. Well, I’m currently a full-time writer, but I’ve had a few jobs along the way. I attended law school in New Orleans and was a practising attorney for the better part of a decade. Before that, I was an intern for the United Nations, an ESL teacher in Central America, a bartender in London, a seller of cheap knives on the streets of Brixton, a door to door phone book deliverer in Florida, and the list goes downhill from there. A little bit by accident. While I was working as an attorney, I set out to write a novel that I felt I needed to write. Not because I was a novelist (I had never written a word of fiction, outside of my legal briefs), but because I had a story I wanted to tell. During the process of fumbling through that first novel, I knew, without a shadow of a doubt, that writing novels was what I had to do with my life. Tell me about The Brothers Three. I started with the idea of ‘what do I really want to read?’ I love epic fantasy, I love fantasy novels that transport characters from our world to another world, and I also love urban fantasy. I decided to meld all three, and the world building - the alternate-reality New Orleans - just sort of took off. After the brothers reach the new world and team up with a dangerous adventuress and her band of mercenaries, The Brothers Three follows a classic quest motif, a journey to an abandoned keep, and it’s the first in the series (The Blackwood Saga). There will be five in total. I’ve never really had a problem with that. Never short on ideas, never had writer’s block. Whether the ideas and words are good ones, well, that’s much more complicated! That said, I often stumble on a thorny plot point or character issue, and I find that traveling, or even driving a long distance in my car, helps see me through. What draws you to writing fantasy? It was my first love as a reader, and I will always love the genre. It’s hard (impossible?) to be a writer of a certain genre without being a super-fan. As a reader, I love the imagination involved, and as a writer, yeah, I love stretching my imagination to the limits. The battle scenes are also fun because of all the various magic and weaponry involved. One can get a lot more creative than with a shootout! Do you find it hard to avoid common stereotypes of the genre whilst writing fantasy? It is a struggle. It’s risky to eschew them entirely, however, because readers expect certain stereotypes, or tropes, of the genre. The trick is to use them in a novel manner, which I’ve tried hard to do. The first fourth of a book, especially the first book in a series. You have to turn an idea into a fully-fledged reality, invent characters that come to life on the page, and jumpstart an airtight plot. Once the first fourth is done, it’s still a mental challenge to finish, but I find that the initial section is the hardest. That’s a very, very long list. Here’s a few on the fantasy side: Neil Gaiman, Lev Grossman, Terry Brooks, Margaret Weis, Tracy Hickman, R.A. Salvatore, China Miéville, Anne McCaffrey, David Eddings, Tolkien, C.S. Lewis, Robert Jordan, Ursula K. LeGuin, Joel Rosenberg, Madeleine L’Engle, Roger Zelazny, and Lloyd Alexander. In terms of craft, read as much as you can, write every day, and hire a great editor early on (regardless of whether you plan to self publish or seek out a publisher). The Passage by Justin Cronin and The Chronicles of Thomas Covenant, the Unbeliever by Donaldson. 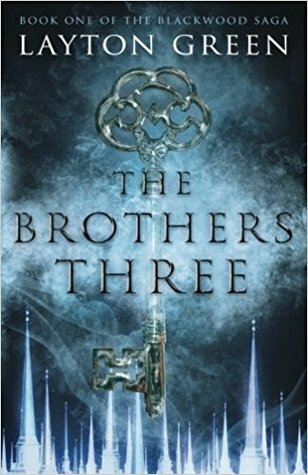 The Brothers Three is available to buy now. For more information about Layton and his work, you can visit his website. What do you think? Let me know your thoughts in the comments below!